Are you looking for office space or a venue to hold your next meeting or conference? 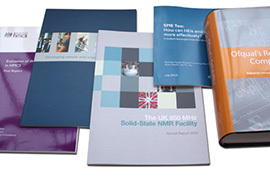 Could your business benefit from access to scientific equipment and laboratories? 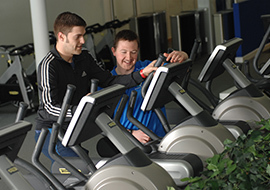 Would you like to offer your staff the chance to benefit from top-quality sports facilities? Whatever your business needs, we have a wealth of facilities on campus to meet them, from our outstanding scientific facilities, award-winning conference centres and Science Park to our digital printer and Sports Centre. 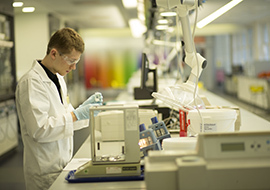 Warwick Scientific Services is a centre of excellence based at the University of Warwick, offering an extensive array of scientific facilities, technical measurement resources and expertise to business, industry and the local community. 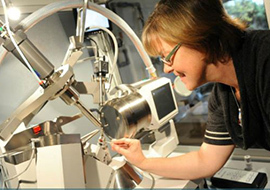 We provide access to the latest world-class measurement technologies and academic expertise for organisations in the areas of materials technologies, energy efficiency, life sciences, high performance computing, failure-analysis and mechanical and environmental engineering. In addition to the facilities, we work to deliver academic consultancy tailored to your current needs, future expectations, timeframe, and operating and budgeting parameters. At Warwick Conferences, we’re hugely proud of our award-winning facilities that are easily accessible in the heart of the Midlands. We constantly go the extra mile to provide the best service we can for our clients at each of our three dedicated training and conference centres as well as at the Conference Park. Offering venues that are devoted to delivering a distraction free environment for between 2 to 1,200 people, first-rate meeting rooms that are fully equipped with everything you need, accommodation, first class catering – all with no hidden costs or inflated invoices. 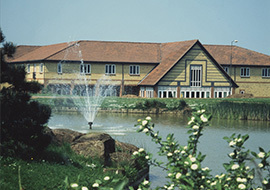 Plus a vast range of amenities are available for your delegates to enjoy including an Arts Centre and Sports facilities. A full event solutions offering is also available. We provide industry leading customer service, with a dedicated Sales and Events Manager who will create a bespoke package to meet your individual requirements, and advise how you can make the most of our venue. Warwick Conferences’ venues are geared towards you, and making your event extraordinary. Warwick Print is a leading digital printer based at the University of Warwick, providing marketing and promotional material for a diverse range of companies from the local area and the rest of the UK. Whether you’re looking for a brochure, stationery, poster, exhibition stand, website or any other way of talking to people, our commercial team will listen and work closely with you so that they are able to understand your goals and marketplace. We have extensive experience across a broad spectrum of industries enabling us to share our ideas and offer you solutions to any challenges you may be facing. Warwick Sport provides a number of bespoke services and all-inclusive packages for organisations looking for sports and leisure facilities or general space for meetings and team-building events. Our facilities include FIFA-accredited football pitches, an athletics track, a tennis centre (with indoor and outdoor courts), a gym, swimming pool and climbing wall. These are also open to professional teams and individual athletes who can come here to train and stay at our conference centres, where our chefs will be happy to prepare meals tailored to your specific nutritional requirements.